It was too close a shave to determine a winner in our 2018 electric razor Co-Op, but the two finalists are disparate enough products that we can recommend them both, depending on what you’re looking for in an electric razor. 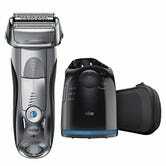 What&apos;s Your Favorite Electric Razor? We’ve waxed poetic about the OneBlade for awhile now, and most of the men on our staff are unabashed fans. That said, it’s not going to give you as close a shave as the Braun Series 7, let alone a manual razor. But if you like the five o’clock shadow look, or want to use the included combs to groom a beard, it can’t be beat for the price. 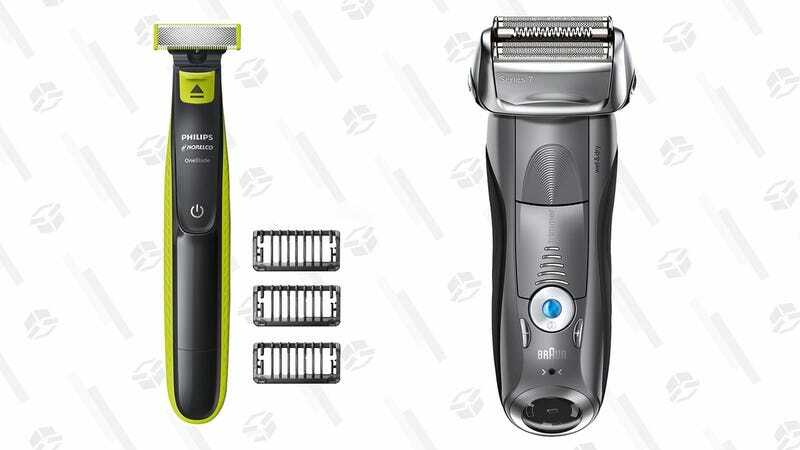 The Braun Series 7, in comparison to the OneBlade, is for people who want a razor-close shave. It also includes a charging base that doubles as a cleaning station, cutting down on maintenance. I’ve been using one forever (at least 5 years, maybe longer), and it’s very dependable. The foil style shave head makes for a nice close shave. The battery lasts forever on a charge (the longest I’ve gone between charges has been a week, and the little meter only drops down one notch after that time). It’s easy to pop the shave head off and run it under water to clean it or use the self-cleaning charging stand. The foil blades last a long time (I think they recommend changing them every six months, but they last at least a year and a half for me without a noticeable drop performance. And, of course, it includes a pop-out sideburn trimmer.